Hello! You may have noticed my blog has a new look.I am working on some much needed updates so don’t forget to check back. 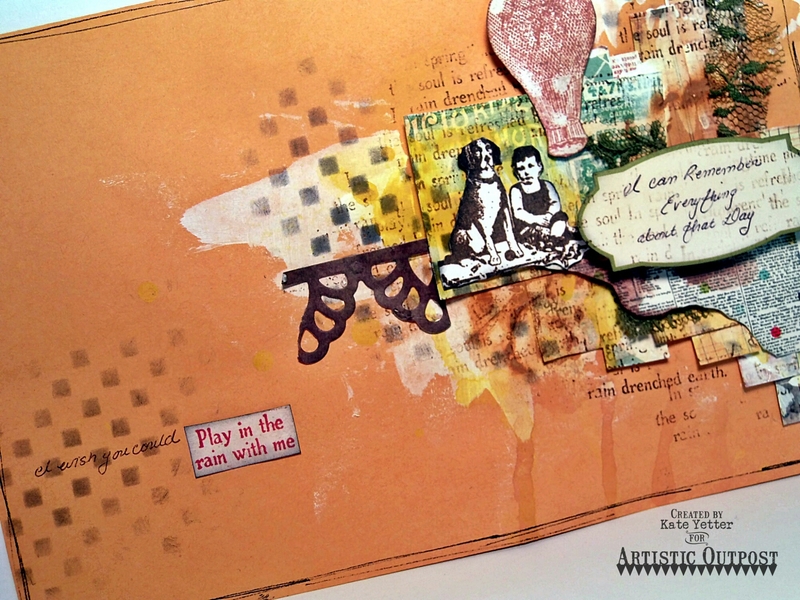 Tonight I am sharing a piece of mail art for a man. 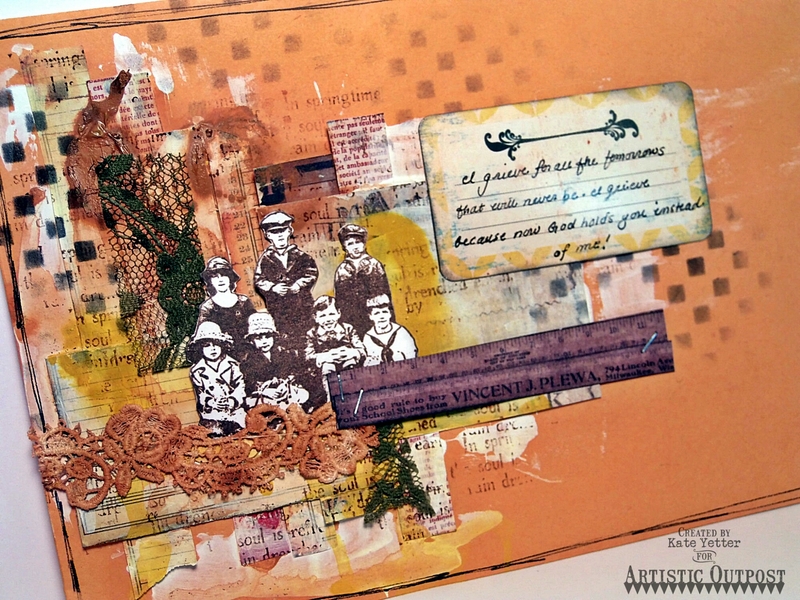 My envelope has various scraps of paper adhered and washed with gesso and ink sprays. 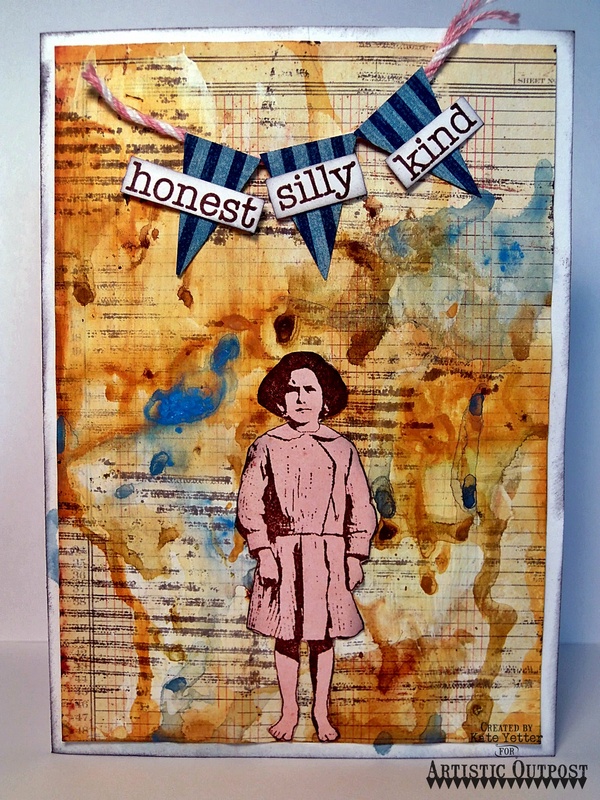 I stamped on top before adding layers of paper and die cuts. 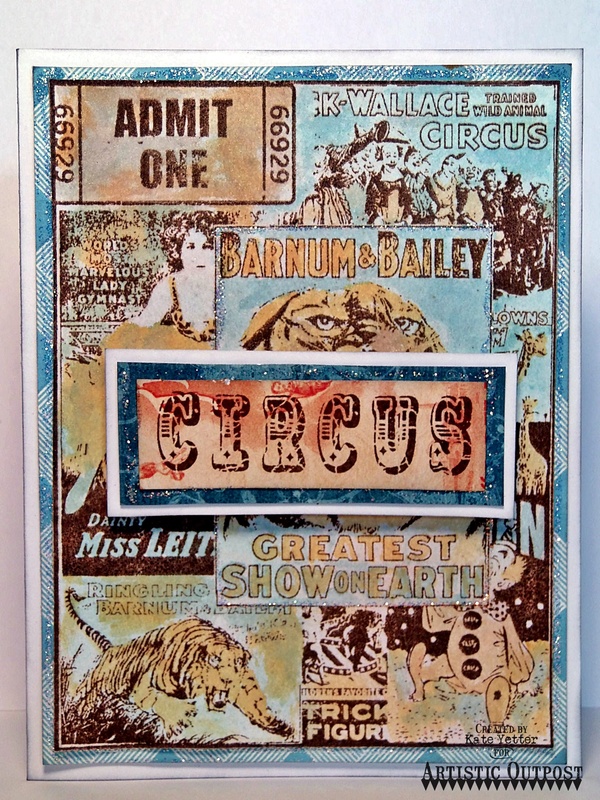 The main image has been stamped and embossed from the Go Team stamp set by Artistic Outpost and the paper in the banner is from the Vintage Ephemera paper pad. Hello! It’s been a while since I posted. So much going on in life. We just moved and we are trying to get settled in. 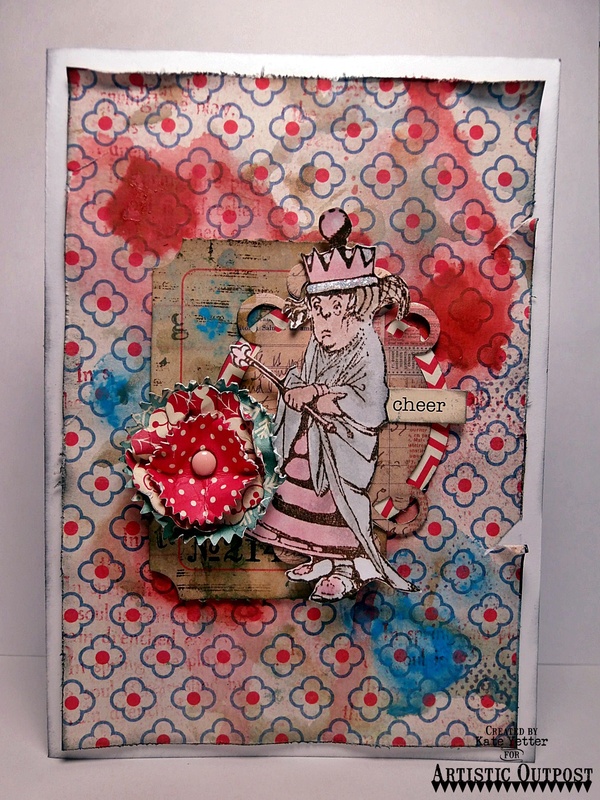 Just a quick card for Artistic Outpost. 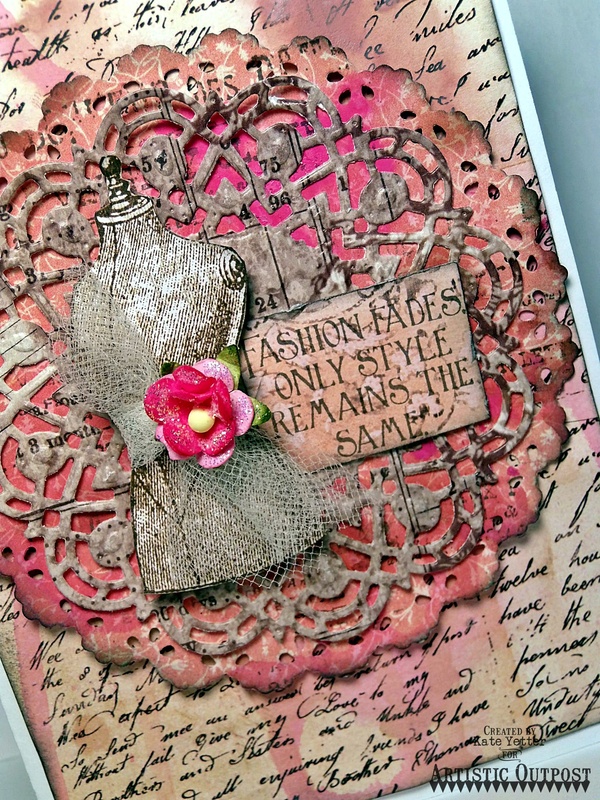 I used the new Vintage Fashion stamp set for my focal image and sentiment. Hello and welcome. 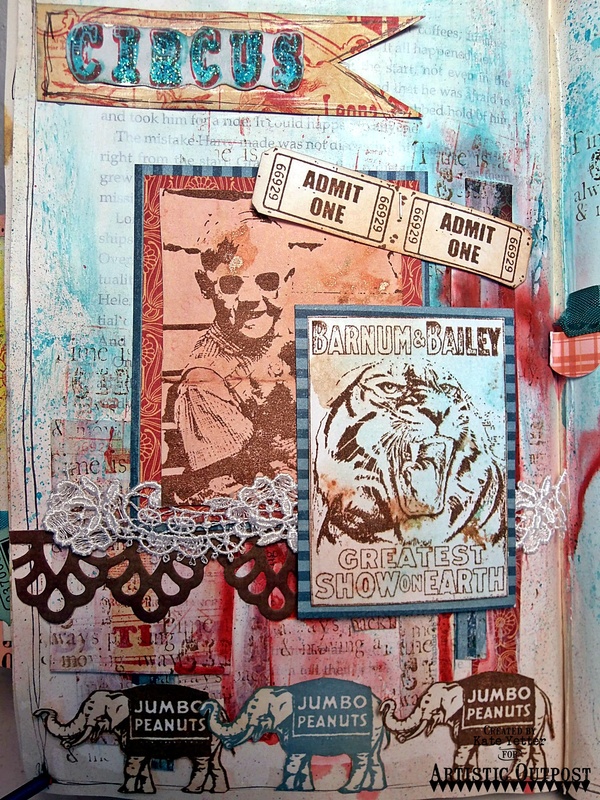 This month over at Artistic Outpost we have a Storybook theme. 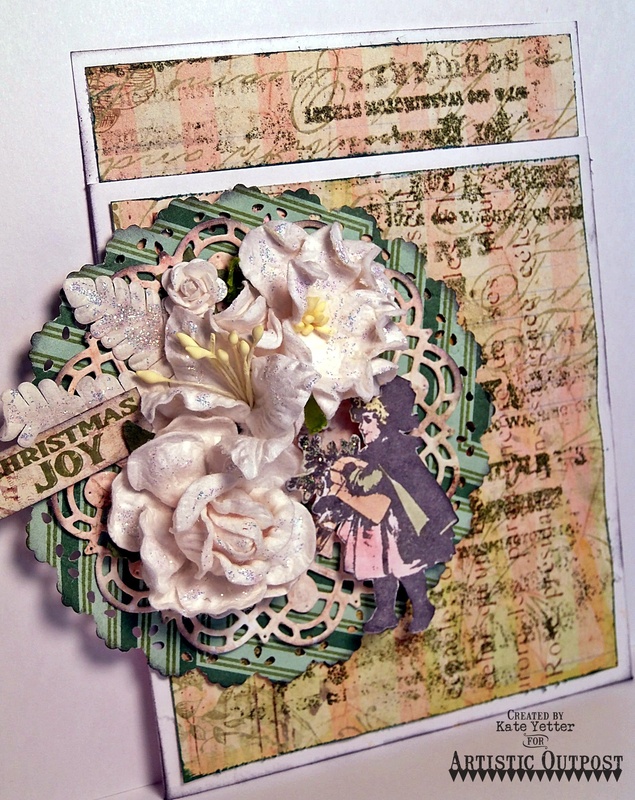 I am working with one of my favorite sets, Wonderland Collage. My background has been painted and stamped. 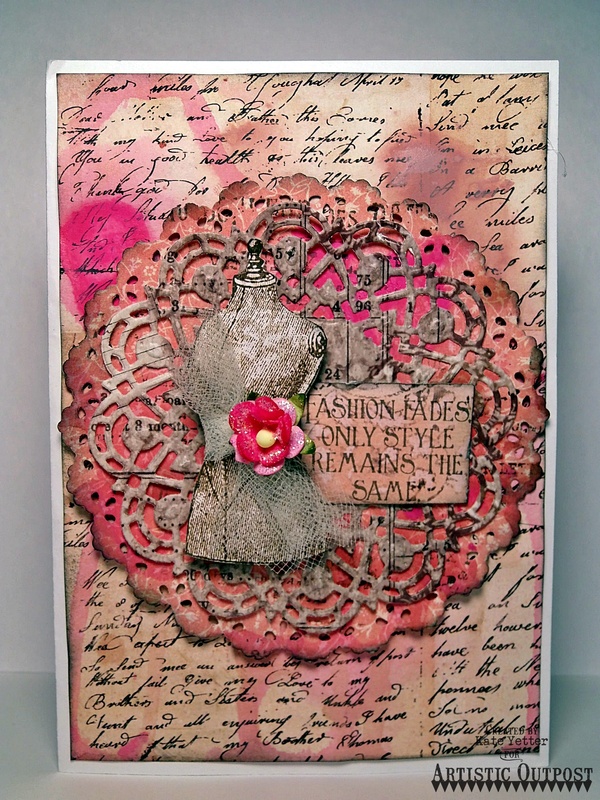 I then layered several die cuts and topped it off with my focal image, which has been colored with Distress Markers. Don’t you just love this theme? 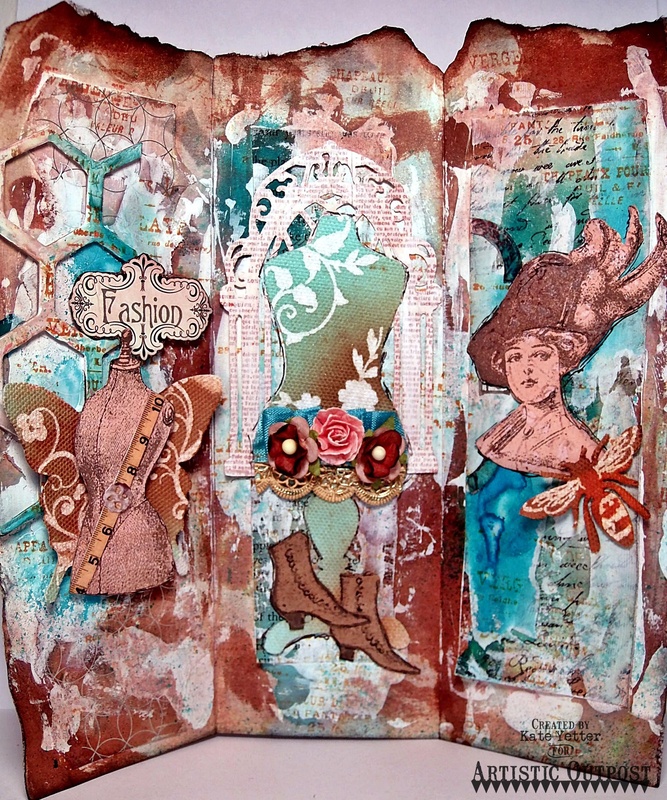 Please hop along to all the designers blogs to get inspiration! 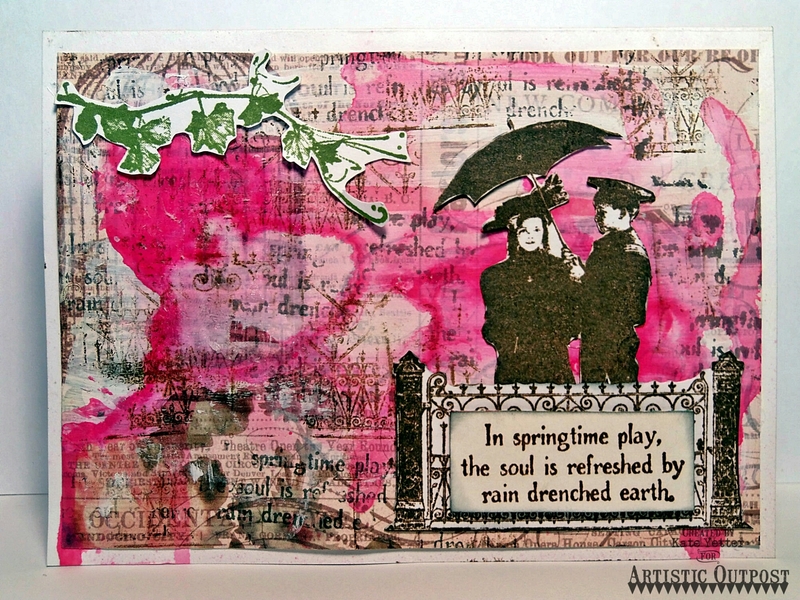 Here is another card using the Artistic Outpost Springtime stamp set. 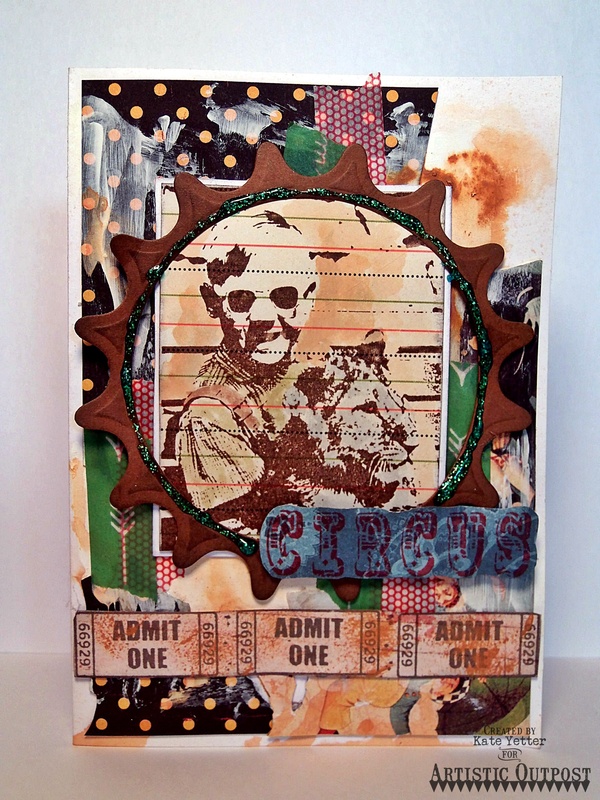 I used a bit of paint and gesso in the background before stamping. I also used the Hayride set for the vine.